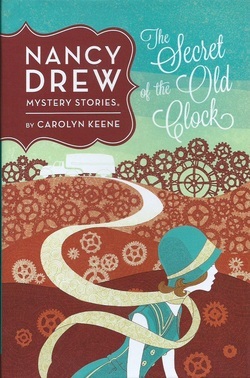 In May 2014, Grossett & Dunlap released the first four Nancy Drew books with new covers. were on store shelves with a special matching display. 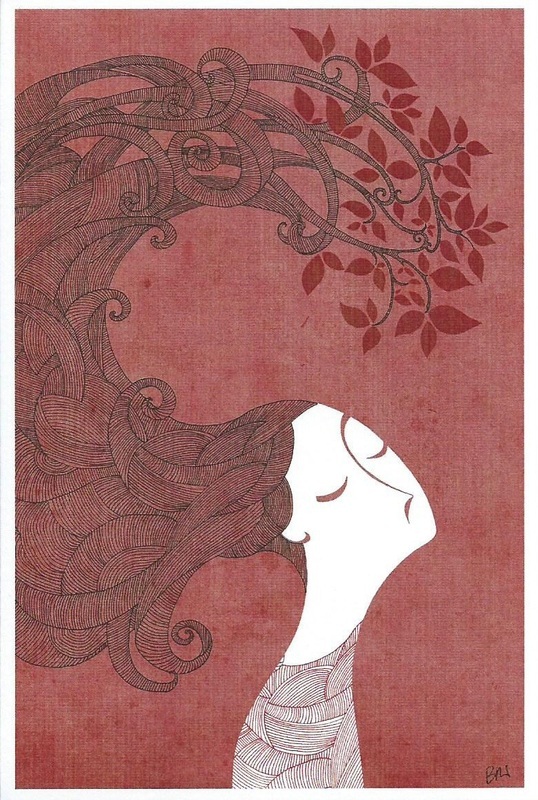 The illustrator for these special editions is Sabrina Gabrielli, a young artist from Italy. Nancy Drew display from Target stores advertising the exclusivity of the pre-release of the new Nancy Drew covers at their stores. The above images are examples of Sabrina Gabrielli's other artwork as used on postcards. 1.) Have you lived in Italy all your life? the boot": Rutigliano. I moved to Rome when I started university, in the 2000. 2.) How did you become interested in illustration? graduation I worked as product designer and art director for 6 years, but it wasn't really what I wanted to do… so I decided to follow my heart and go back to illustration! I started my career as a freelancer illustrator at the beginning of 2012. 3.) Do you have a favorite medium to work in or that you work with more often? last summer I started to experiment screen printing together with my husband. It’s awesome creating prints all by yourself! 4.) Were you familiar with Nancy Drew? Did you read them growing up and if so, were they in Italian or English language? I knew Nancy Drew, but just as character. I started to read ND books when I was asked to illustrate the covers for the new edition. I read the english version. 5.) How did you get chosen to do the covers for the US edition? It must be exciting to see them published. illustrations of mine on the web. (I was surely lucky!!!) I started to sketch in the autumn of 2012. On february 2013 I was confirmed to illustrate the first four covers. Well…YES! It is REALLY exciting to see your illustrations published. I'm still jumping for the happiness! 6.) Were you given specific instructions on what they wanted or were you given free reign? How long did it take to create each cover and in what medium? working on every illustration (pencil, ink and colour). Anyway the executive part was short compared to the time waiting for all the approvals! 7.) 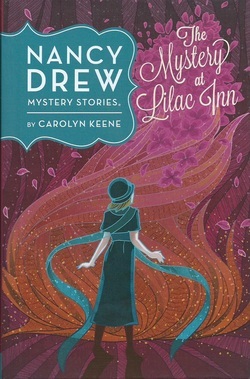 Do you plan on doing any more of the Nancy Drew covers and what does your future hold? one year old little boy. I’ve got less free time but much more energy: I never felt so creative as in this period! Please, excuse me for the poor english and the very possible grammar mistakes I made!!! Thank you so much for your kindness and this interview. It means a lot for me your appreciation!